The man who got me hunting down evolution! David C C. Watson’s best-selling book on the first 11 chapters of Genesis, ‘Myths and Miracles’, has helped thousands see why a literal acceptance of Genesis makes the most sense. But what influenced David Watson to accept Genesis as literal? David says it was the writings of a creationist university professor who was teaching in Madras, India, in the 1950s. Professor Hannington Enoch, named after the famous Bishop of Uganda, was born in Trivandrum, south India. He taught university students for more than 30 years in Madras, and retired as Professor of Zoology in Presidency College. David says Professor Enoch was a devout Christian who puzzled over evolution for many years. The professor finally concluded that the theory of evolution was a colossal mistake—a ‘grand illusion’. Professor Enoch died in April 1988. But his influence continues strong in the Union of Evangelical Students of India, of which he was the prime architect. Over the years, hundreds of students have been converted and are learning to trust the Bible as Professor Enoch did—as the Word of God; inerrant not only in matters of faith and conduct, but also wherever it touches on history, on science, and particularly on origins. 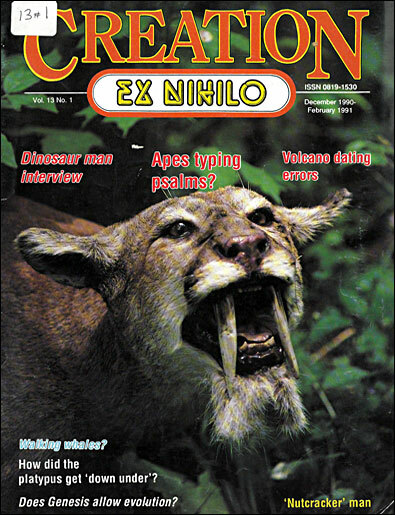 We are sure that the many readers of ‘Creation’ magazine who have been influenced by David Watson’s writings will be interested to know the story behind what influenced his own strong stand against evolution and for creation.